We have recently received an interesting newspaper cutting from Bill Linfield in Zimbabwe, recording his ‘50 years in Aviation’. Bill is a great-grandson of Liberal MP Frederick Caesar Linfield and first cousin of Barry Linfield, our membership secretary. In 1999, Bill wrote an interesting article for ‘Longshot’ about his family and their long association with Zimbabwe and South Africa, which can also be accessed on this website. Bill has also sent us some great photos of himself and his family, showing four generations, which also include his great-granddaughter, Lilly. 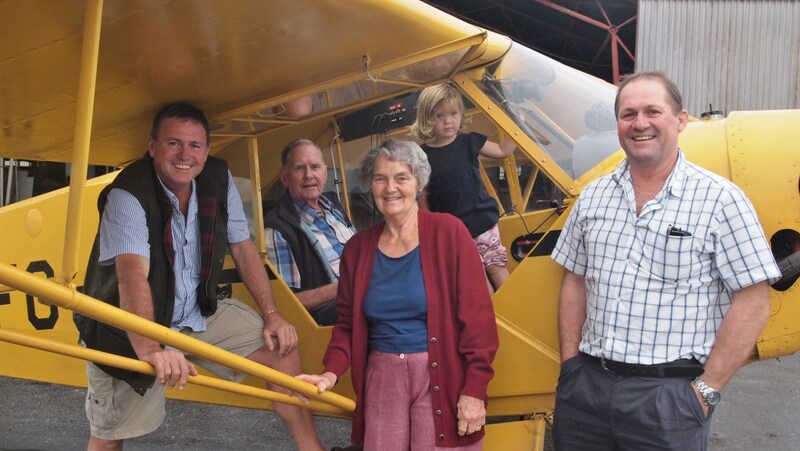 ‘Bill joined the Mashonaland Flying Club on the 10th January,1967, and after his membership was confirmed he undertook his first flight in the Club’s Piper Cub VPYFT on the 17th January,1967. After the usual exercises, including circuits and bumps, getting to grips with landings and take offs and the upper air work including steep turns and recovering from spins and stalls, his instructor, Paul Rawson, sent him solo after 9.6 hours, an experience that all students have indelibly printed on their memories and which Bill still remembers distinctly 50 years later. The next 30 hours comprised of consolidating all the basics, steadily progressing to the big day when the CAA examiner, Tony Birch, sat in the front seat of the Cub and put him through his paces to assess his competence to be issued with his Private Pilot Licence PPL. It must be mentioned that in 1967, the Cub was a non-radio aircraft and pilots took their instructions from the Control Tower by means of a series of red or green flashing signals, each of which was a directive giving clearance to land, go around, take off etc. and a student was required to be totally familiar with and to obey any signal flashed. Whilst taxiing out for his PPL flight test and suffering from the usual bout of nervousness, as one experiences when being tested, the examiner asked what a certain signal indicated. The rather hesitant reply, although correct, was sufficient to be given as the reason for the test to be assessed as a partial pass and for a retest to be undertaken a few days later. Such was the attitude of this particular examiner who rarely passed any candidate on their first attempt. 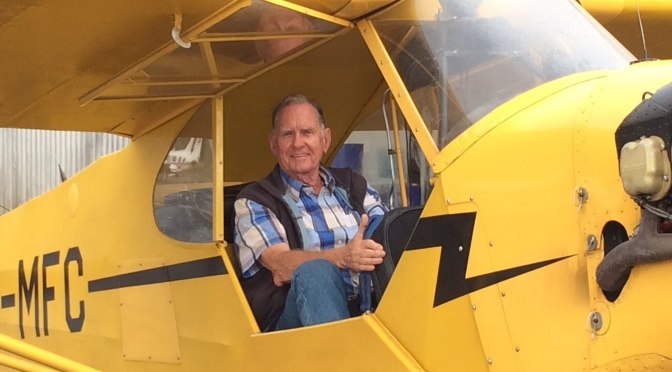 Bill embraced his newly acquired qualification enthusiastically and participated in all aspects of the flying club and within a couple of years he was elected to serve as a committee member. Apart from the usual administration duties he became involved in assisting with the organising of Air Days, Club flying competitions, and National Air displays and in 1973 he was invited to be a member of the committee convened to plan and implement the Southern Sun Air Rally, the first of which took place in 1974. The rules were basic and the rally was flown using a 1: 000: 000 map, ruler, protractor and circular slide rule. The event quickly evolved to keep up with the flying skills of the pilots and it was not long before the competition was recognised internationally with competitors from South Africa, Kenya, Zambia, Malawi and even as far away as the U.K., taking part. The Air Rally is now in its 43rd year and Bill has to date, with the exception of a few years, when, due to his professional flying commitments he was unable to be involved, either organised or competed in the event and is hoping to compete again this year. In 1977, Bill joined the Police Reserve Airwing, flying extensively on operational duties throughout the country up until the hostilities ceased in 1980, when the country gained its independence in April of that year. Many of the Airwing pilots opted to remain in service and so the Unit was adapted to fly in support of Police civilian requirements, with the emphasis on Search and Rescue, casualty evacuation and the rapid movements of police personnel and support services to scenes of crime in remote areas. The Airwing continued to operate in close liaison with the Airforce and with the National Parks in anti-poaching exercises. Training exercises often included joint operations with these two services. In 1982, Bill was appointed Commander of the Unit, a position he held for 20 years, up until 2002. 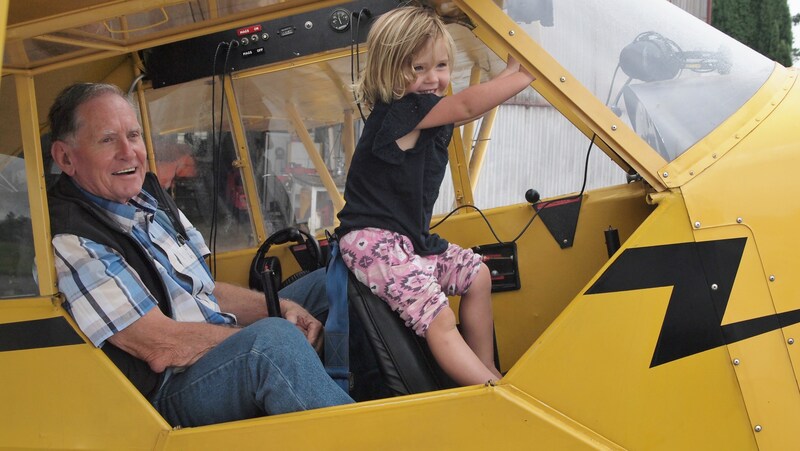 For the first 10 years of his involvement in aviation, Bill flew as a PPL and in 1977 when he retired from his first career, he chose to upgrade his PPL to a Commercial licence and to pursue a full-time career in aviation. He was by then 38 years old, and any thought of progressing to airline flying was no longer practical, so he opted for corporate and charter work. Much of his corporate flying was for a well-known construction company based in Zimbabwe and due to the rapid development of infrastructures taking place throughout the region including Mozambique, Malawi, Zambia and Botswana as well as contracts within Zimbabwe, called for regular visits and movement of personnel which could only be accomplished by air travel. Over the years he was witness to amazing upgrades in the aviation infrastructure, to a greater or lesser extent, throughout the region. Most of the primary and in many instances the secondary airports received facelifts and some even completely refurbished. Unfortunately, most countries in the region still cling to their insistence of imposing complex and demanding clearances to fly into or over their territories, accompanied by exorbitant fees as a rule, he says. Bill’s charter flying was for a limited period, when, needing to get extra work for the company’s aircraft he joined with two other aircraft owners, pooling their resources, giving them aircraft ranging from Piper Chieftains, Barons down to a Cherokee 6, thus providing a practical mix of aircraft with which to carry out contract work and charters. However, he admits that he much preferred the nature of his corporate flying, interacting with the company personnel, many of whom he is still in contact with today. Included in his many involvements in the world of aviation is attending the first International Police Airwing conference and workshop to take place in London in September 1993, when as the Unit Commander, Bill represented the Zimbabwe Police Airwing and had the opportunity to meet and discuss Police Aviation with representatives from around the world. From 1987 – 1989 he was Chairman of the General Aviation Pilot’s Association of Zimbabwe, at a time when considerable change was taking place in the way of transformation and consolidation of the new Civil Aviation administration. In 1991 Bill was a member of the Zimbabwe team which took part in the World Air Rally flying championships held at the Stellenbosch airfield in South Africa and, perhaps the highlight of his aviation career was taking delivery of the company’s Piper Navajo which, together with the previous owner, he flew back to Zimbabwe from Germany, in 1994. In Part 2 of this article, entitled The Descendants of Frederick Caesar Linfield, which follows, Barry and Malcolm Linfield take a more detailed look at Bill’s branch of the Linfield family.